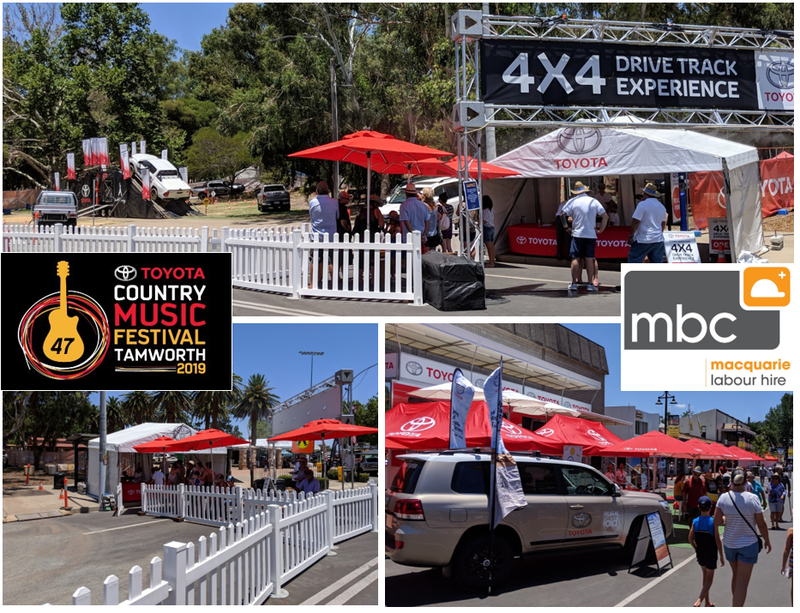 MBC have had the pleasure of once again working with Tamworth Regional Council, GEMBA & Toyota in recruiting the 2019 Toyota Brand Ambassadors for this year’s festival. The festival runs the duration of 10 days and our 11 Toyota Brand Ambassadors will be the face of Toyota at various locations, events and concerts throughout the festival. They are the friendly faces all the travelers and locals meet when they come to get their iconic and legendary Toyota Hat which this year is raising money for Rural Aid! 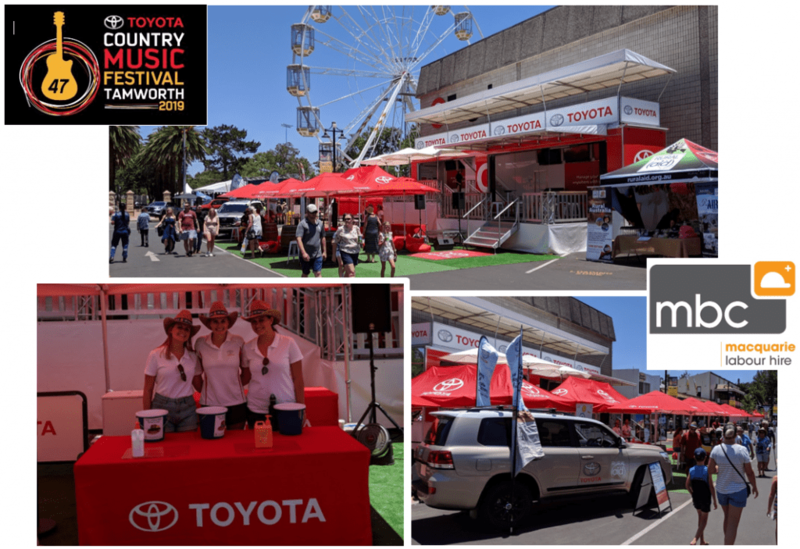 The Brand Ambassadors will be out and about at festival engaging the festival goers in conversation and showing off the Toyotas on display. Some lucky ambassadors are also required to manage the 4×4 test track where festival goers can come along and sign up to test drive a Toyota around the purpose built 4×4 track right in the middle of town. This event is something MBC are proud to be a part. If you happen to be coming over for festival at all, make sure you drop by the Toyota Zone and say G’Day to the team.